Sources within the Anonymous hacking community have hacked multiple ISIS associated accounts and found damning information. 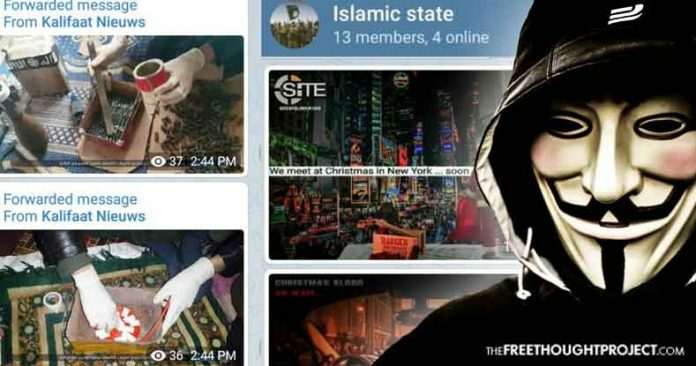 A contact of the Free Thought Project within the Anonymous community has informed us and provided evidence of an Islamic State group that is discussing the carrying out of attacks within the United States, namely New York City. The hacking collective has compromised hundreds of accounts associated with ISIS and informed TFTP last week that they are monitoring these groups. Communicating in Spanish, Arabic, and English the terrorist groups are using the popular Telegram app to communicate. Members of the hacking collective ~#GhostSquadHackers are behind this potentially massive hack. 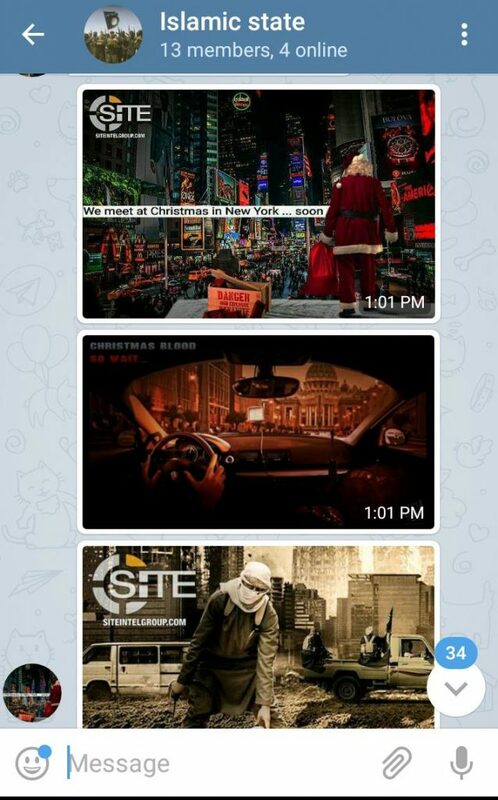 One group, in particular, named the “Islamic State” on the telegram app has been promoting images celebrating planned attacks in New York City. These images were being shared BEFORE yesterday’s failed bombing attempt. These screen captures were taken two days before the attack in New York. On Monday morning, a 27-year-old alleged terrorist by the name of Akayed Ullah walked into the underground tunnel between Times Square and the Port Authority Bus Terminal and detonated a crudely-made pipe bomb. Luckily no one but Ullah was seriously injured. Ullah has since been charged with terrorism for the attack. 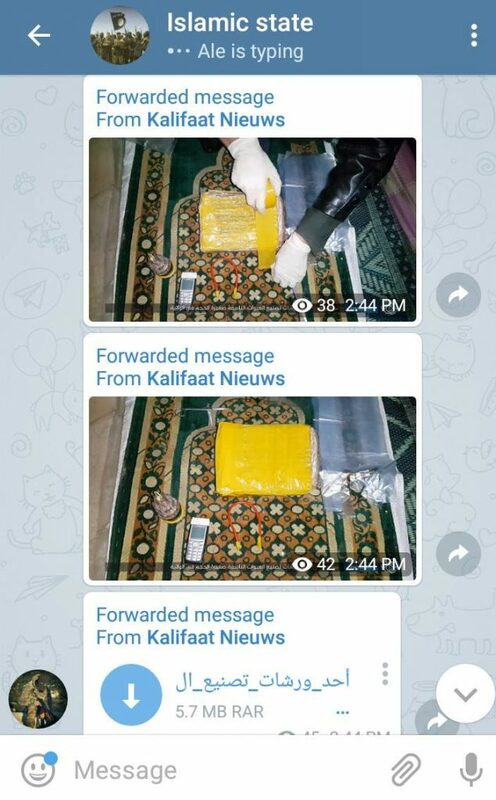 It is important to point out that after Ullah’s pipe bomb failed, our source within Anonymous noticed the groups began sharing instructions for making bombs. While it is unknown if this group is connected Akayed Ullah and the attack in New York City, this information should not be ignored. There are far more instructions shared in these messages but TFTP will not be posting them. ~#GhostSquadHackers have since taken to Twitter to post these images which is why we are now reporting it publicly. Before publishing this article, TFTP spoke with the terrorism department of the NYPD and we have provided them with all the information we had. This information has been given to the FBI as well. This is not the first time groups of Anonymous hackers have thwarted terrorists. As TFTP has previously reported, after the attacks in Paris, Anonymous has made its vision of eviscerating ISIS devastatingly clear. Immediately after the attacks, tens of thousands of social media accounts with links to the terrorist regime were taken offline. But that was only the beginning. Shortly after that, as TFTP reported, hackers claimed to have prevented an actual attack. Tens of thousands more ISIS-affiliated social media accounts have been removed since the guide went public. Despite the threat of ISIS attacks on US soil being particularly low, in the last two months, we’ve seen a seeming increase in New York. After their defeat in Syria, and with the ceasing of funding from the CIA, the Islamic State is seemingly reeling and could be trying to bolster support with new attacks. Hopefully, with everyone working together, we can prevent them in the future.